There are a few words in the English language that I pronounce the way that I want to pronounce them. This will never change. If someone corrects me, most of the time it is in a joking manner. Other times, this is corrected in a manner that is rude and completely uncalled for, which is followed up by today's rant. 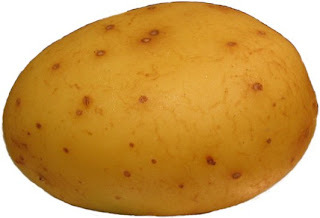 This is a potato. I call it a PO-TAY-TOE. You can call it whatever the Hell you want to call it. This is a coupon. I call it a Q-PON. Kind of like a TAM-PON, but with a Q, instead of a TAM. I don't call it a COOOOOO-PON. That is ridiculous. 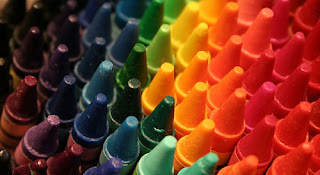 This is a picture of some nicely colored Crayons. I call them CROWNS. Just like the hat a King wears. CRANS are weird. CRAY-YAWNS are weirder. 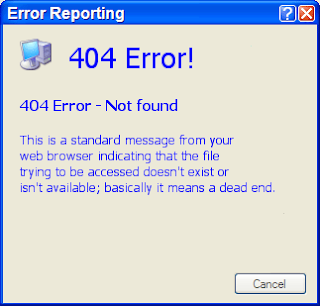 Last but not least, this is an ERROR message. I call it an ERROR message, as in E-R-R-O-R. It is not an AIR message, despite the fact that I call it an ERROR message. There is no such thing as an AIR message. If someone calls it an ERA message, I will punch them in the face.